Kids love to raise dogs in their homes rather than any other pets. Dogs become friendly and sportive very faster when compared to other pets. But not all dogs are good to raise by kids; there are few dogs that could turn dangerous sometimes. So pick the good and best dog for your kid by considering family budget, dog’s energy level, size, temperament, sportiveness etc. 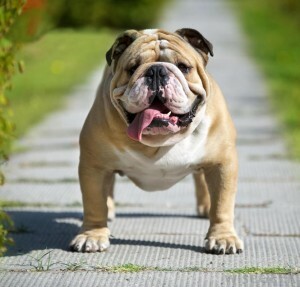 Bulldog is originated in England and commonly known as British Bulldog or English Bulldog. It is very sportive with kids and they love to raise this breed as Bulldogs are very patient with kids. The lifespan of bulldog is about 8 to 10 years and weighs between 40 pounds (female) to 50 pounds (male) (18kg to 22 kg approx.). This medium-sized bulldog can be seen in various colors like white, red, pale yellow, brindle etc. Bulldog does not bark heavily but are preferably good watchers. Kids can take this pet for short walks and bulldogs tend to relax most of the times on the laps rather on the yard. Bulldogs are not very aggressive; they are calm and friendly natured. Children love the bulldog as it gets attached with them very soon and adapts the homely environment. It is advisable to brush the dog weekly and wrinkles on the face should be cleaned daily. Boxer is originated in Germany and is commonly known as German Boxer or Deutscher Boxer. This breed of dog is very friendly and patient with kids and guards the family from the outsiders. The height of boxer is about 21.5 inches (female) to 25 inches (male) while the dog weighs around 55 pounds to 70 pounds as per the height. 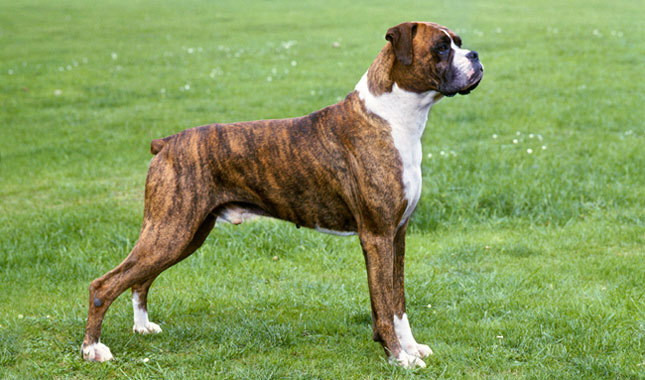 Boxer can be seen in brindle color with a black mask and with or without white markings. This medium-sized boxer is very well affectionate towards children in the family and is very alert and watchful all the time. The lifespan of boxer is about 10 to 12 years. Mastiff is another breed of dog which attracts kids and adapts easily in the homely environment. Originated in England, mastiff is well-known as Old English Mastiff and the lifespan of this dog is about 6 to 10 years. This large sized mastiff generally weighs between 54 kg (female) to 113 kg (male) and the height varied from 27.5 to 30 inches. 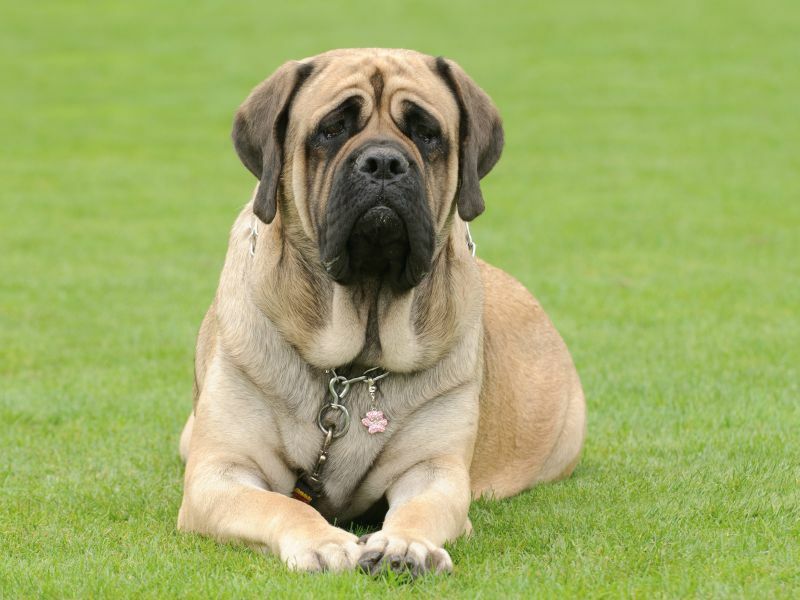 Mastiff can be seen in various colors like dark brindle, fawn, silver fawn and apricot fawn. Mastiff is a relaxed pet and it is advisable for owners that, this pet should be trained in pup stage as the Mastiff grows to large size very soon. It guards the family with perfection and is patient towards children. 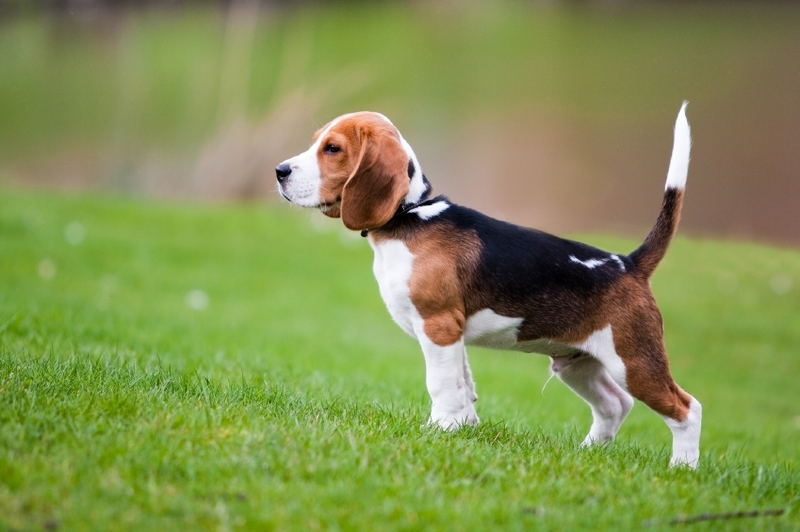 Beagle is originated in England and is commonly known as English Beagle. Beagle’s lifespan is about 12 to 13 years and are commonly seen in multiple colors like white with brown and black tan. The Beagle is very friendly with children and these dogs suit very well for home. 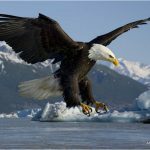 The female beagle weighs about 9 to 10 kg and the male beagle weighs about 10 to 11 kg, both with the height between 10-16 inches. As the beagle could chase small kittens, the breeders should watch the dog carefully. Dalmatian is originated in Croatia and can also be called as Plum Pudding dog, carriage dog, Firehouse dog and spotted coach dog. This dog fits perfectly in the home environment and it loves to play with the kids all the day running along them. 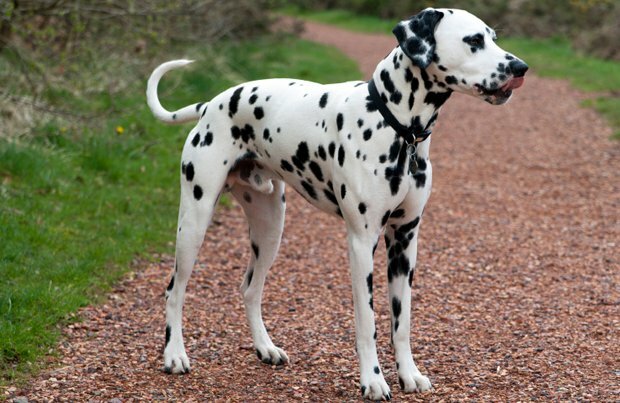 The lifespan of Dalmatian is about 10 to 13 years and can be seen in white color with black or liver spots. The height of this medium sized Dalmatian is about 19 inches (Female) to 24 inches (Male). Dalmatian loves to walk and run for a long-time and so it will be very useful for long walkers. 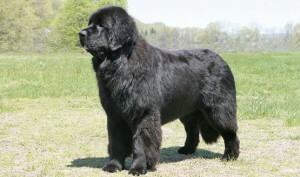 Newfoundland dog is originated in Canada and is very loyal with its calm nature. The lifespan of Newfoundland is about 8 to 10 years and the male dog height is about 30 inches while the female dog height is about 30 inches. The dog generally weighs about 45 kg (female) to 55 kg (male) and is considered as the large-sized breed. Even children and adults love to play with Newfoundland as it is very calm and gentle. Generally, this breed can be seen in various colors like black, brown, gray and white. Very cute appearance and its sportiveness are main attractions of the dog. 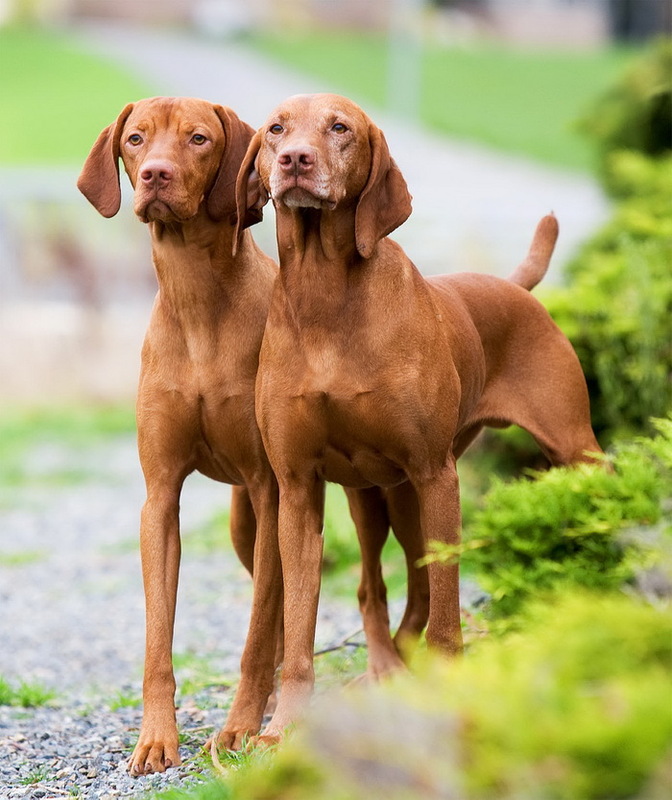 Vizsla is originated in Hungary and can also be known as Hungarian Pointer and Magyar Vizsla. The lifespan of the dog is about 10 to 14 years and can be seen in golden rust shadings with/without markings of white. This large sized dog weighs about 18 kg (Female) to 30 kg (Male) and the height varies from 21 inches (Female) to 25 inches (Male). Vizsla is said to be a good watchdog and it loves to play with the children. It is very active and sportive all the time and is said to be a good swimmer too. Scotland originated Golden Retriever (Gun dog) is very patient towards children and the kids love to play with this dog all the day. The lifespan of this breed is about 10 to 12 years and it weighs about 27 kg (Female) to 34 kg (Male). 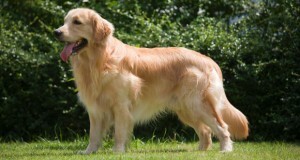 With its activeness and sportiveness, Golden retriever easily adapts to home environment. The height of the Golden Retriever varies from 21.5 inches (Female) to 24 inches (Male), and is generally seen in shades of gold or cream color. With kind and friendly temperament, this dog will become a part of the family very soon. Labrador Retriever is originated in Canada and is commonly known as Labrador or Lab. This medium-sized lab weighs around 25 kg (Female) to 36 Kg (Male) and the height varies from 22 inches (Female) to 24.5 inches (Male). 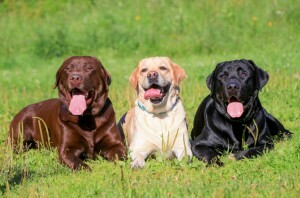 Labrador can be seen in various colors like yellow, chocolate and black. Labrador is a gun dog (or bird dog; for hunting or retrieving birds) and can live about 12 to 14 years. It adapts the home environment very soon and with its active sportiveness, children will be attracted towards it sooner. Bull Terrier is originated in England and is commonly known as gladiator, English Bull Terrier and Bully. With a lifespan of about 10 to 15 years, this dog height varies from 18 to 22 inches (Male). This medium sized dog weighs almost 22 kg to 38 kg (Male) and commonly seen in white, fawn, brindle and white colors (color markings on the head). 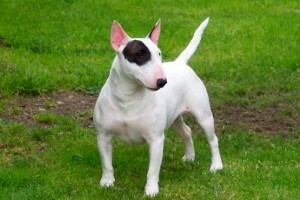 Bull Terrier is considered as the watchdog and it is lovable by the children as it adapts to homely environment faster. 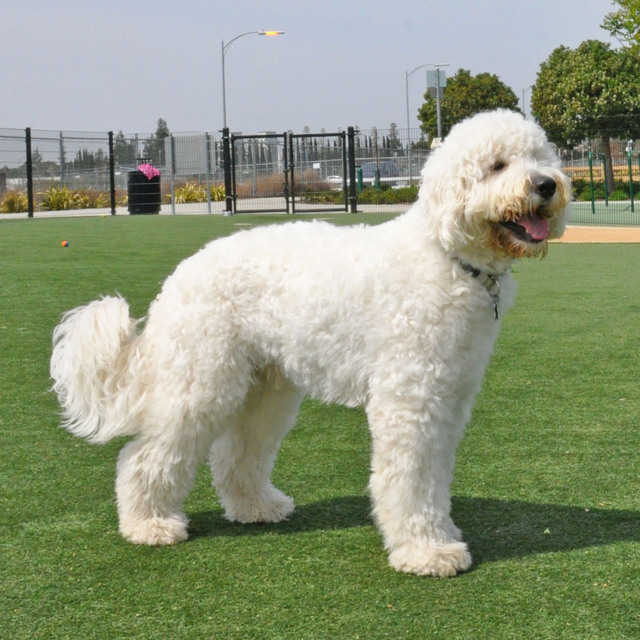 Bichon Frise is originated from Mediterranean region and is a small-sized dog breed. With height about 9 to 11 inches, this dog’s lifespan is about 12 to 15 years. 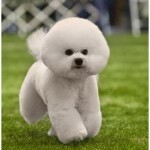 Bichon Frise can be seen mostly in white color and also of cream or apricot. 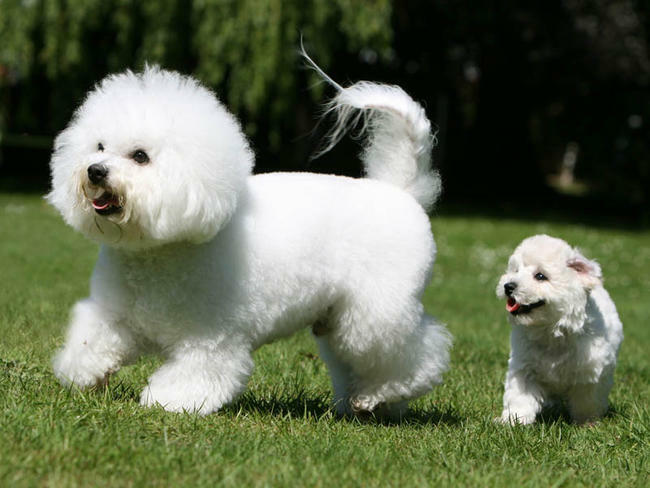 Kids love to play with this small dog and the Bichon Frise too becomes familiar with kids and others in the family very soon. It is advisable to make professional grooming for this dog and daily brushing is also needed. 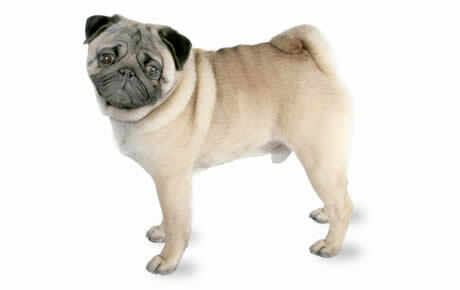 Pug is originated in China and is called with other names like Dutch bulldog, Mini mastiff, Chinese pug etc. The lifespan of Pug is about 12 to 14 years and it weighs about 6 to 8 kg and the height of male pug is about 11 inches. Pug become home-friendly very soon and loves to play with the kids. Children like to take the pug for walks because of its small-size and friendly nature. Generally, pug can be seen in black or fawn colors. Bullmastiff is originated in the England are said to be very calm as they bark rarely. It becomes friendly with kids very soon and gets closer to the family in a short time. This large sized dog weighs about 45 kg (Female) to 59 kg (Male), and height varies from 24 (Female) to 27 inches (Male). 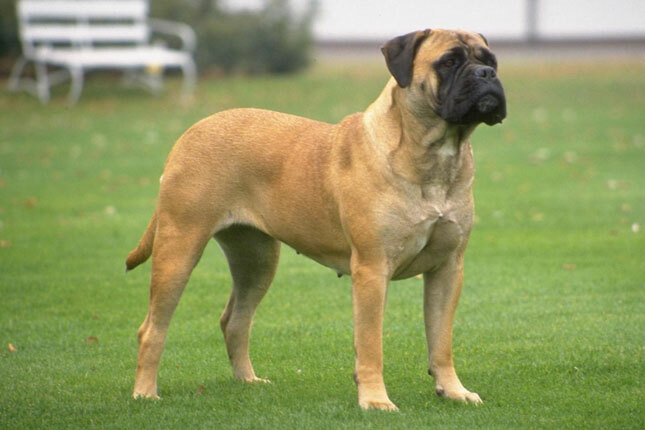 Bullmastiff is commonly seen in red, brindle and fawn colors and is said to be good watchdog. It guards the home very well and is very loyal to the family. The lifespan of Bullmastiff is about 8 to 10 years. 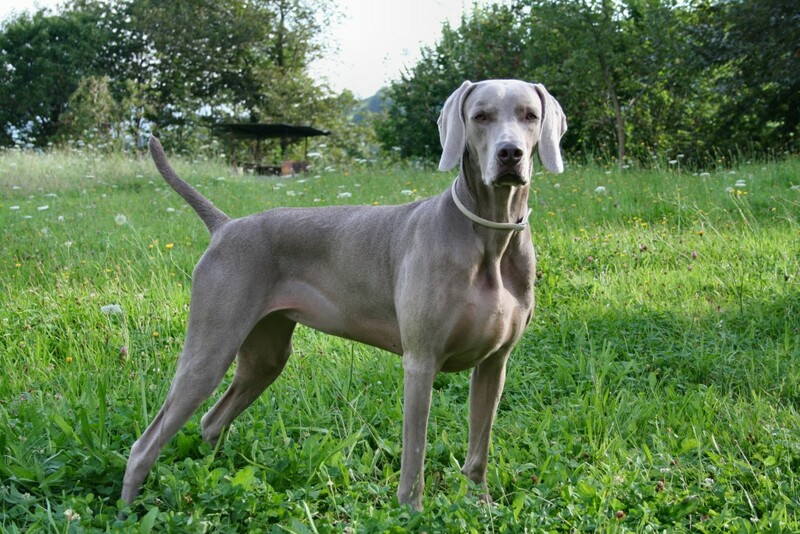 Weimaraner is originated in the Germany and is commonly known as ‘Grey Host’, Weim due to the appearance. 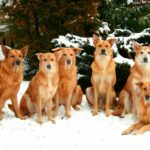 The lifespan of this dog is about 11 to 14 years and is a large-sized dog with height varies from 23 (Female) to 27 inches (Male), and weighs about 25 kg (Female) to 37 kg (Male). Weimaraner can be seen in various shades of gray color with white spot on chest (for few dogs). The dog is very kind and plays with the children all the time, although it is advisable to watch the small children while playing with Weimaraner as it is large in size. Miniature poodle is originated in Germany and is said to be a small-sized dog breed with lifespan about 10 to 13 years. It can be seen in any color and its height varies from 10 to 15 inches due to its small size and lovable appearance, kids love to play with it and poodle too love to play with the kids all the time. By training the poodle, it gives good entertainment for the family with its funny attitude. It is said that, professional grooming should be done for the poodle. Standard poodle is originated in Germany and unlike miniature poodle this dog breed is medium sized with lifespan about 10 to 13 years. Same as the miniature poodle, this breed needs professional grooming. 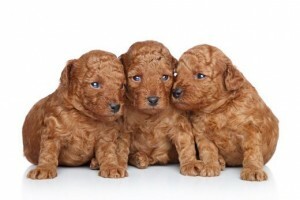 Standard poodle height is about 15 inches and can be seen in any color. It adapts to the home-environment very soon and entertains the family all the day. It loves to play with kids and is said to be the good watchdog. 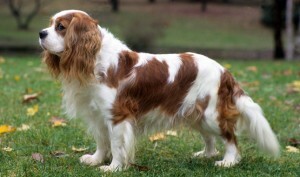 Cavalier King Charles Spaniel is originated in England and is commonly known as cav, cavalier and cavie. This dog has been categorized as the toy dog due to its beautiful appearance. This small sized dog weighs about 5.9 kg to 8.2 kg (Both Male and Female) and height varies from 12 to 13 inches (Both Male and Female). The lifespan of cavalier is about 9 to 11 years and generally it can be seen in various colors like ruby, black and tan etc. Cavalier is easy to train and it attracts the children very much with its cute appearance. 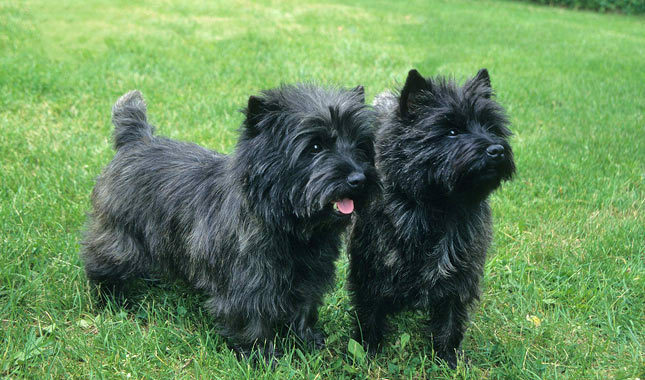 Cairn Terrier is originated in Scotland and is very cute in appearance. The lifespan of this dog is about 13 to 14 years and is small sized dog. The weight of this dog is about 4.5 kg to 6.8 kg and its height varies from 9 to 13 inches. Cairn Terrier can be see generally with color combinations except white and is love to play with kids and family members as it adapts the home-environment very soon. It is advisable to comb the dog weekly. 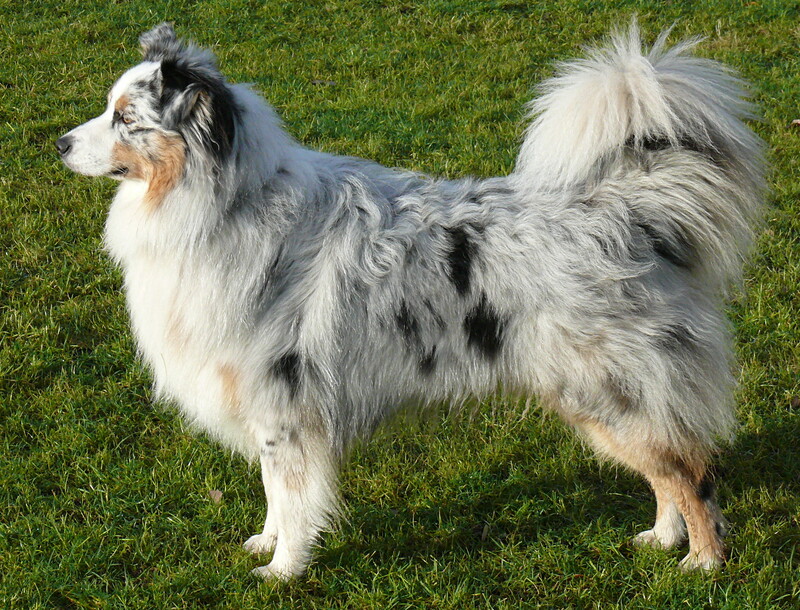 Australian Shepherd (commonly known as Aussie) is originated in United States and is very home-friendly dog. The lifespan of this dog is about13 to 16 years and generally it can be seen in tri-colors and bi-colors. This dog weighs about 14 kg (Female) to 29 kg (Male) while the height varies from 18 (Female) to 23 inches (Male). Australian shepherd is known to be the good watchful dog and is very loyal towards the family. 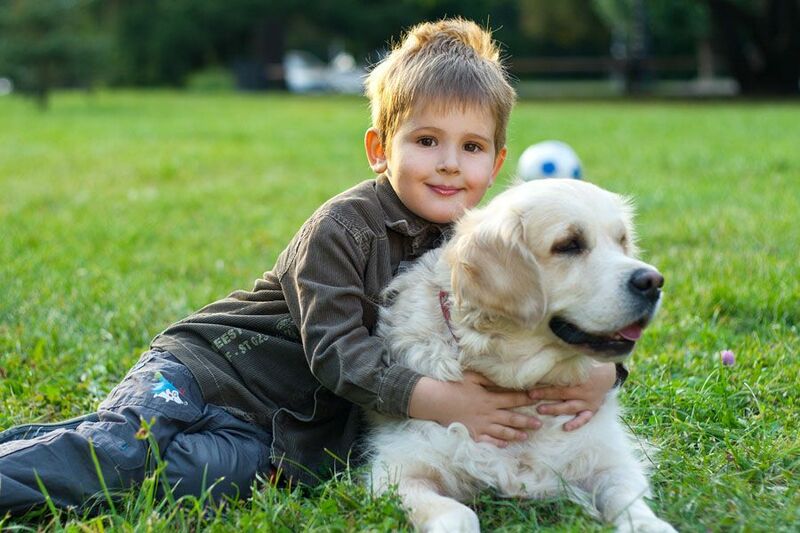 Kids too love the dog and it could be the good companion for the whole family. 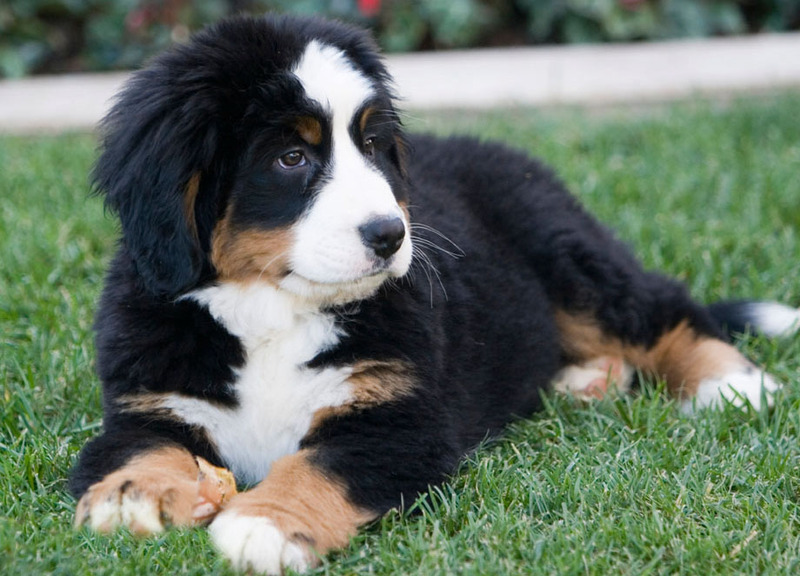 Bernese mountain dog is originated in Switzerland and is commonly known as Bernese cattle dog and Berner Sennenhund. It is a large sized dog and weighs about 35 kg (Female) to 55 kg (Male) and height varies from 23 (Female) to 27.5 inches (Male). Bernese mountain dog can be seen in black, rust and white colors and its lifespan is about 7 to 10 years. This dog is loyal towards the family and is a good watchful dog. Children love this dog as it becomes friendly very soon. Irish Setter is originated in the Ireland, is a large sized dog breed. It loves to play with the children in home and it is advisable to supervise it while playing with small kids as it is in large size. It weighs about 25 kg (Female) to 34 kg (male) and height varies from 21.5 (Female) to 26.5 inches (Male). 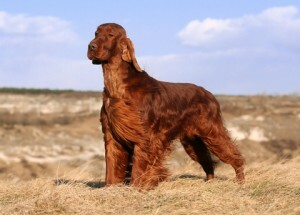 Irish Setter can be seen in rich chestnut color, is very adaptable to family. It becomes friendly very soon with kids, other animals and small household pets too. But it is said that, supervision is necessary when the dog is with other animals. 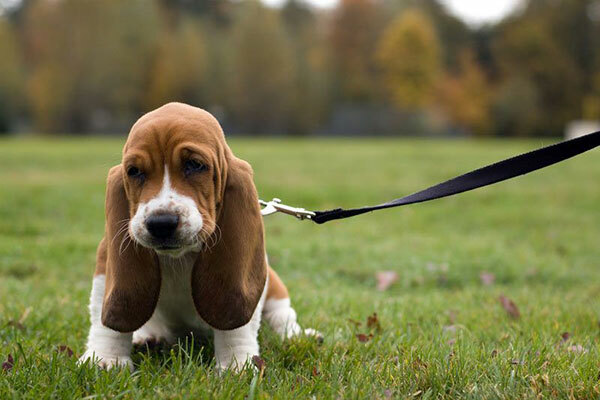 Basset Hound commonly known as Basset and Hush Puppy is originated in the France and is small sized dog breed. 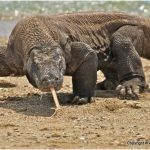 It weighs about 20 kg (Female) to 34 kg (Male) and height varies from 11 (Female) to 15 inches (Male). The lifespan of this dog is about 8 to 12 years and are generally seen in any hound color or with tri-color (black, white and tan). Basset Hound is said to be a good pet dog and it loves to play with the children. With its cute appearance, Basset Hound will be anyone’s favorite and it is also a good watchful dog. 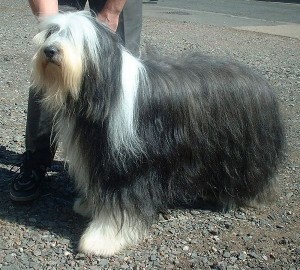 Bearded collie is originated in the Scotland and is commonly known as highland collie, Argle Bargle, Mountain collie etc. This medium sized dog weighs about 18 kg to 27 kg and height varies from 20 (Female) to 22 inches (Male). The lifespan of Bearded collie is about 12 to 15 years and generally it can be seen in brown, blue, black, fawn (With or without markings oh white color). This dog is lovable with its cute appearance and kids love to play with it all the day. Boston Terrier is originated in United States and is commonly called as Boston Bull Terrier, American Gentleman, Boxwood and Boston Bull. 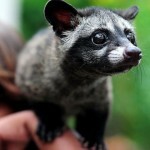 This small sized dog weighs about 7 kg to 11 kg and the height varies from 9 to 15 inches. 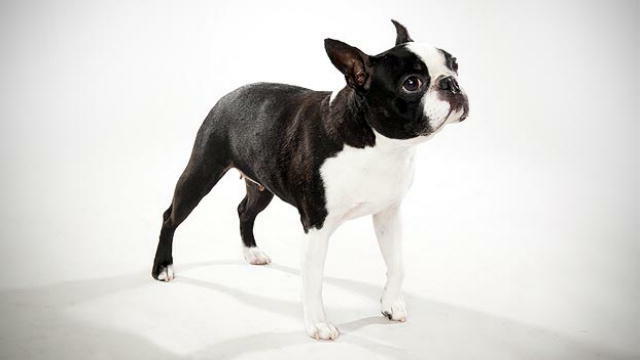 The lifespan of Boston Terrier is about 11 to 13 years and is generally seen in seal, black and brindle colors with white markings. Boston Terrier is said to be the good watchdog and is intelligent. It is calm and quiet with family members and loves to play with children. Airedale Terrier is originated in the England and is also called as Bingley Terrier and Waterside Terrier. The lifespan of this bog is about 10 to 14 years and it is of height about 23 inches (Male and Female heights may differ) and the weight is accordingly to the height. 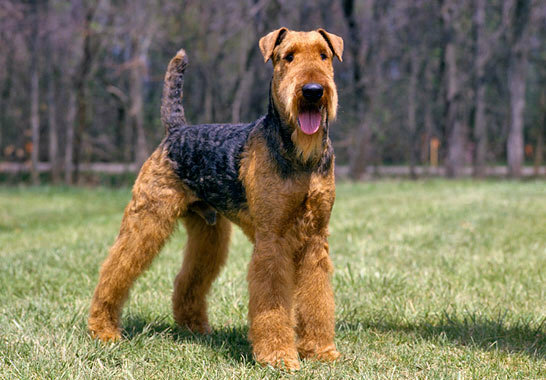 Airedale Terrier is commonly seen in black and tan colors (rarely red). It is a good watchful dog and is very active, kids also loves to play with the dog as it is friendly in nature but supervision is needed when the dog is with smaller kids. The physical measurements and colors may change sometimes and the above given data should be taken only as informational purpose. We gathered the above information thoroughly and presenting you the same and we are not responsible for any faulty information.